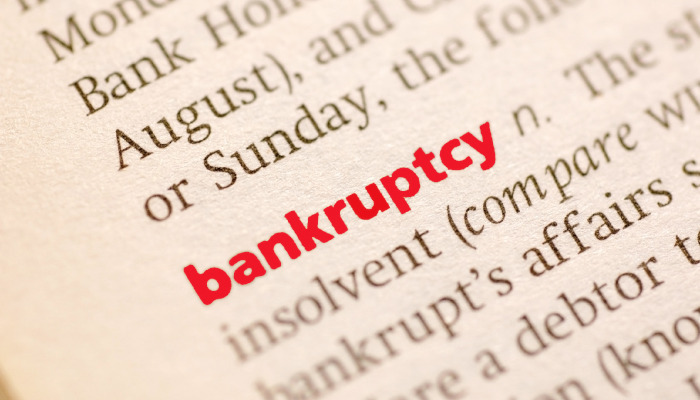 What is bankruptcy – and what does it really mean for individuals, households, and businesses? These are fairly straightforward questions, with answers that will change, depending on who you’re speaking with. As you weigh your options for addressing indebtedness, it’s nevertheless important to have a firm understanding of bankruptcy – what it means, what it does, and what it can and cannot accomplish. To address the first point? Bankruptcy, in simplest terms, is a legal process that allows consumers and businesses to get rid of their debts and repay their creditors. It is used by corporations, families, and individuals to address severe indebtedness by allowing them to liquidate or reorganize their debts to make them more manageable. There are different types of bankruptcy, which allow people to relieve their debts in different ways, and which have different eligibility requirements. Most consumers need to know about Chapter 7 and Chapter 13. Chapter 7 bankruptcy is a “liquidation” bankruptcy, in which the consumer liquidates some or all of their assets in order to pay down debts, while also having many of their unsecured debts released. Chapter 13 is a “reorganization” or “restructuring” bankruptcy, in which a consumer works up a repayment plan with the court and their debtors, to help pay off set amounts in a set period of time. So, that’s what bankruptcy is, on paper. Fairly direct, right? But from there, there are inevitably countless questions that come up. Because while many people know what bankruptcy is, it can be harder to get a handle on what it does, how it works, and what advantages it offers to consumers and companies. We break down many of those aspects in our “Bankruptcy FAQ,” available here. Part of the reason for this confusion is that there are many myths and misconceptions out there about bankruptcy. It is a word that has come to have a certain amount of stigma associated with it over the years. In reality, bankruptcy does not need to be thought of as this looming, abstract idea. It is a manageable course of action – with concrete steps, and some clear-cut advantages for consumers and businesses. Reorganize debts, giving you the opportunity to gain some breathing room and catch up on missed payments. Bottom line? Bankruptcy doesn’t need to be thought of as a shameful last resort. Instead, a well-managed bankruptcy filing can present an unparalleled opportunity for a fresh financial start. Indeed, many financial and credit decision-makers see it this way, viewing bankruptcy as far more responsible than simply defaulting on debt obligations. Successfully filing for bankruptcy, then, can clear the way for you to pay certain debts off more effectively, once the burden of other escalating debts has been lifted. It is a way to move forward on surer financial footing, giving consumers a chance to breathe and head into the future with a much more manageable financial situation. With all this being said, it is important to understand what bankruptcy can and can’t do for individuals and businesses. There are limits on the types of debts that can be eliminated, and eligibility requirements for who qualifies for bankruptcy. For instance, it’s important to understand which types of debt are dischargeable, and which are not. For consumers, there are often many debts that can be discharged — such as unsecured credit card debts, medical bills, and others. Unsecured debts can be thought of as those that are based purely on your promise to pay them back, usually with interest, as well as your past credit history. In contrast, many secured debts – credit which is based on loans in which you offer property as collateral – cannot be automatically discharged in bankruptcy. Secured loans, child support obligations, student loans, and a few others cannot by discharged automatically. However, they can often be restructured, making them less of a month-to-month burden for consumers. Similarly, it’s key to recognize that bankruptcy will not be an option for all people. For some, bankruptcy alternatives – such as loan restructuring or payment plans – may be a more effective solution. In other cases, a person’s income may determine what type of bankruptcy they are eligible for. In fact, there are many different factors that play into bankruptcy eligibility – median income, allowable expenses, secured vs. unsecured creditors, means testing, and so on. In many ways, the best way to determine if you qualify for bankruptcy, and what strategies to pursue in bankruptcy, is to consult with a legal professional. With an attorney on your side, there is no need to search for all the variables and hope you don’t miss any key detail, or to waste your time seeking out costly and ineffective third party remedies. Instead, an attorney can help you pursue the right course of action for your unique financial situation; legal professionals can offer the force of law to protect you from creditors, all while being held to a higher standard by the state and ethics review boards. If you’re looking to get a better understanding of bankruptcy, and if it may be a practical course of action for you, do not hesitate to get in touch with the Gunderson Law Firm. We can get you actual, straightforward answers for your personal situation, and your first consultation with us costs you nothing. At the Gunderson Law Firm, we protect our clients’ assets to the full extent allowed by today’s laws throughout the complex bankruptcy process, helping them get the debt relief they not only need, but genuinely deserve. We will take all steps possible to protect you and your assets immediately and throughout the bankruptcy process, while also counseling you on realistic ways to avoid such serious debt issues in the future. Whether you are a business owner, a wage earner, retired, or otherwise, we can address your specific situation with strategic plans to help put severe indebtedness behind you so you can enjoy life again.